What is it that stops you from asking for help or assistance? What is it that blocks you from deciding, taking and embracing change? Is it- resisting the acceptance that things need to change? That what you are currently doing is not working? Is it- fear of change? because right or wrong, what you are currently doing may not be serving you well nor working but it’s what you know and there is a security and safety in doing what you do? Is it- You don’t want to spend the money? You don’t see the value of investing in yourself, you don’t think your worth it or you will feel guilty if you do, that money could be for spending on a holiday, mortgage or an activity for the kids? Is it- Your inability to ask for help because that would mean accepting or even admitting to yourself, let alone anyone else that your not coping and things aren’t going well? I get it. I truly do. I hear it all the time. I should eat better, do more exercise, manage my time better, manage my stress, etc. BUT WHAT IS REALLY STOPPING YOU? I will share with you a personal story. When I was really at my lowest point with my health, I had a small child who needed me and was very, very demanding, my step son was mostly living with us and was 18, going out and we were all adjusting to this, I was trying to establish a new business from home, we had not long purchased our new house and was trying to do some renovations ourselves on a very tight budget, financially things were tight on one income. Well, to anyone that knows me, knows that this was a red flag to a raging bull. I of course fired up, argued how ridiculous that was and how dare he say ‘I’ was not coping! I was capable and competent, I had run busy salons, managed roles in training institutions, I was a hard working organised extraordinaire… who was he to tell me any different? The truth of the matter was, I wasn’t. I will say that, again. “Hi, my name is Kerry Corp and I was not coping!” WOW, now that took a lot not only for my husband to say it to me but for me to actually admit it, accept it and then actual take action to do something about it. So for me, my inability to accept and admit that I needed help and that I was not coping was what was holding me back from seeking and embracing change. 1- If you know your health and wellbeing is in need of your attention and you don’t change, nothing will change. Can you think of any benefits to you, if you stay the same? Write them down. 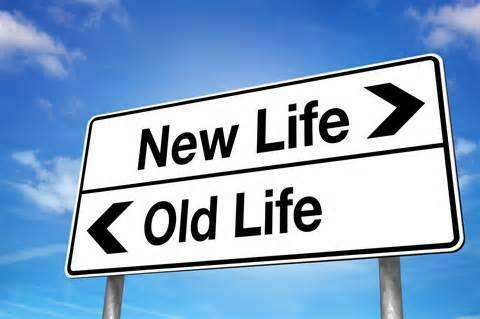 2- If you seek out help and assistance by embracing positive change, then write the benefits this will have on you? 3- Finally, ask yourself, how does this make you feel? What is stopping you? This session can be done in person, Skype or phone.